Xiaomi Yeelight RGBW E27: Have a Smarter way to Customise your Home! Smart Bulbs and Lights have evolved from few years now and it just gets better with time to time. Brands like Phillips has always pleased us with such technology but when a company comes up with a new idea something similar to this makes everything more awesome! So, Xiaomi recently introduced a new “Smart Bulb” called Xiaomi Yeelight RGBW E27 which looks great as well as performs excellently. Well, RGBW LED is the most advanced smart LED bulb that I have ever seen. Anyone will get completely attracted to it at the first sight. 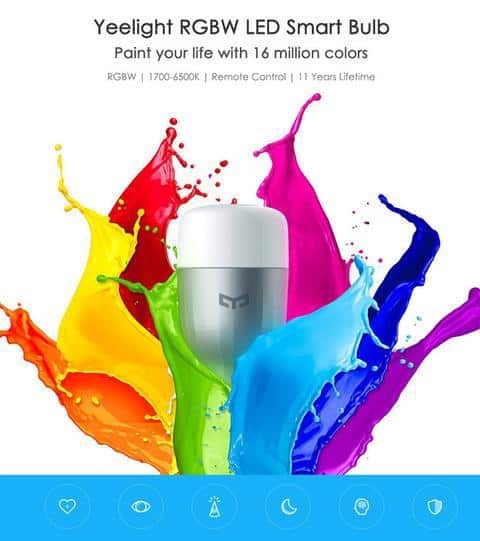 This smart LED bulb has various light colors, 4-zone LED remote controller and LED WIFI controller, extremely practical, functional and convenient for use. It looks premium as well as the illumination is also good which is really eye-catching! Which means It will bring you the pure, comfortable daily lighting experience and long working lifetime. The Wi-Fi controlled Xiaomi Yeelight RGBW E27 uses professional high-temperature resistance-capacitance as a power core device to ensure the Yeelight has a longer working lifetime and more reliable function. Wholeheartedly, we just create an excellent lighting experience for you! The pure white light can achieve a small range of lighting needs, such as desk lamps, etc. I am stunned that how a brand can provide such awesomely packed Smart LED Bulb for such a cheap price which is actually not seen from other brands. 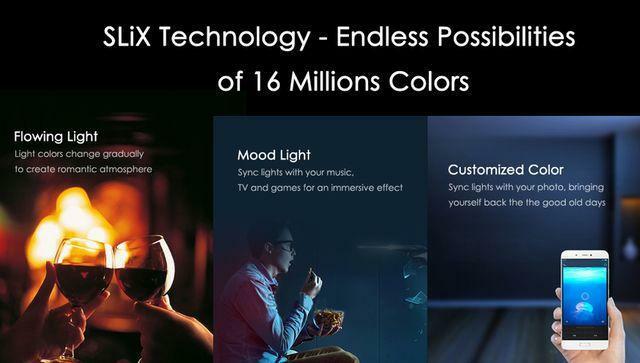 Xiaomi is surely gearing up the game of this Smarter Bulbs which is pretty interesting. Do let us know what you think in the comment sections below and if you want to buy it, you can order from GearBest directly. While checking out use this exclusive coupon ‘GBMAMAN‘ to get additional 8% discount. Previous articleTop 5 Reasons Why Some Mobile Brands Piss Consumers Off! Next articleZeblaze MiniWear Smartwatch: Amazing Looks in Attractive Price!